I recently moved to Bend after living in Albany, OR for the last 15 years. I am beyond excited to finally call Central Oregon my home. 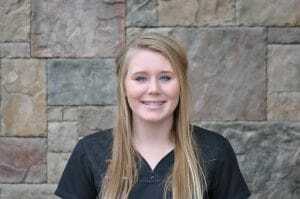 I am also very excited to become a part of the Coppertop Family Dentistry team. It truly is a dream come true. I look forward to getting to know the amazing patients in this community and helping them with their oral health needs. I originally grew up in Medford. I later moved to Eugene and graduated from the Lane Community College Dental hygiene program in 2003. When I’m not working, I love spending time with family and friends, as well as anything outdoors, such as hiking, running, riding my bike, and photography. I also love animals and have one cat. I graduated from Central Oregon Community College’s Dental Assisting program in 2007. I am CDA and EFDA certified. 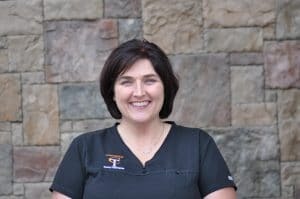 Prior to joining Coppertop Family Dentistry, I worked at a general practice in Bend, OR, and I also worked with a pediatric dentist in Redmond and Bend. I love working with people and I especially have a “knack” for working with children. I have lived in the Central Oregon area with my wonderful husband and fabulous son for over 15 years. I truly love the Central Oregon community and am glad to call it our home. I feel very fortunate to work with such an outstanding, generous person like Dr. Olson, as well the rest of the staff. They are my second family, and I’m glad that they are. 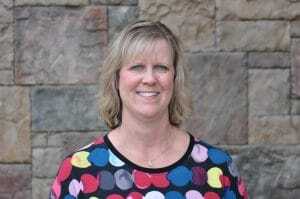 I grew up in Madras and graduated from OHSU in 1993 with a Bachelor of Science Degree in Dental Hygiene. After living in Idaho for 10 years, I finally moved back home to Central Oregon. I live here with my husband and we have 3 daughters and 2 grandchildren. I enjoy reading, gardening, and riding motorcycles in my spare time. After working in the dental field for 20+ years, I truly enjoy working with such a caring dentist. Dr. Olson and his staff have a wonderful office environment that I consider a pleasure to work in. I look forward to meeting each of our patients and strive to make your appointment comfortable, fun, and a learning experience for both of us. 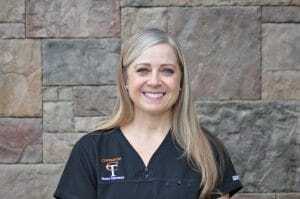 I enjoy helping Dr. Olson help you achieve sustainable and optimal oral health. I’m excited to call Coppertop Family Dentistry my new work home. I moved from Klamath Falls with my family in 2012. We feel so fortunate to live in Central Oregon. 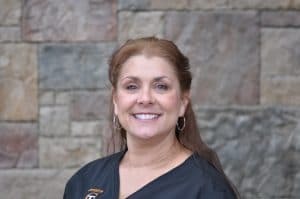 I have 15+ years of front office dental experience and have enjoyed getting to know our patients and helping them understand their treatment plans and insurance benefits. When not working I enjoy spending time with my husband and grown son. We love sporting events, concerts and all the fun things to do in Bend and the surrounding area. You can usually find me on a nearby trail with my golden retriever Abby! I graduated from Culver High School in 2017 and before joining Dr. Olson and his team, I had previously been a patient here at Coppertop since 2011. Then after high school I was given the opportunity to work at my very own dentist. There was a lot to learn at first, but everyone at Coppertop are such great teachers the learning process was fun and I enjoy being a part of such a great dental office. Along with work, I am also a student. I attend Central Oregon Community College here in Redmond taking classes to further my education. When I’m not at school, work, or doing my school work… I’m usually fishing with my dad and brother.